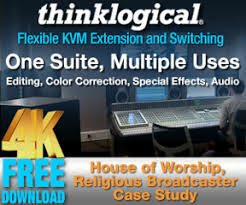 The Home Church in Campbell, California, led by founding pastor Mike Kiley, is one of a handful in the San Francisco Bay Area with a true passion for the enabling effects of excellent presentation technology and a clear vision about its application. Faced with declining first service attendance, Home Church decided to overhaul its presentation style to be more attractive to a younger crowd. Pastor Mike shares why he felt his 700-seat facility needed presentation systems not usually associated with rooms smaller than 1,500-seaters. Tell me about the role of tech in your church. How has it been an enabler of ministry? From the very beginning I’ve seen the tech ministry as one of the most important ministries in the Church. A lot of churches have their tech ministries under their worship teams. I won’t do that. I get the independence I need between worship and tech teams this way. If worship controls tech, I’m not going to know about some of the more important things I might need to do in my church, because my worship leaders may get stuck. 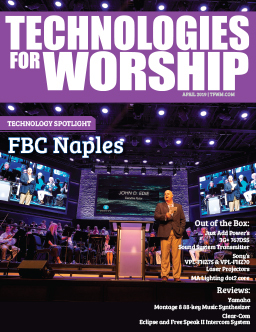 Keeping them independent lets me work directly with my tech people so that I’m apprised of what the latest technologies are, how they can benefit the church, and how they can impact our community. I think I’ve had an advantage in that I haven’t had to jump through hoops to deal with the tech part of the ministry. I’ve always felt that worship is critical to a church’s survival. 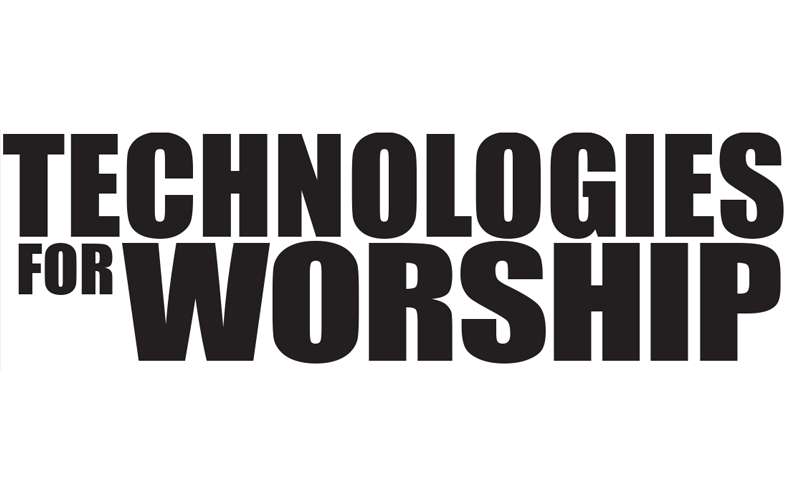 To have effective worship, you have to have the right kind of technology. You have to have the right speakers, the right mixing systems, you have to tame the building’s natural acoustics so the speakers and mixing systems can give you the results they were designed to give, and so on and so forth. I’ve always tried to make certain that I invested enough money in that area of ministry in order to maintain the highest integrity of sound. In our church, we’ve worked very hard to incorporate a young worship team that will really tap the creative side of technology. As a result, I’m seeing growth… when I started the church 28, 29 years ago now, it was a young church ñ the average age was 24. That included my leaders, too. Now we’ve got to go back and pick up that younger group. That’s where the technology has helped me in a significant manner. Among the most visible things, it gives us the ability to use multiple screens. I’ve always liked that. What do you feel it gives you? I think the word would be “ambiance.” The multiple screens give you that panoramic feel. Like we’re in CinemaScope, sort of. We’re wrapped in color, light, and pictures. It’s not just me standing on an empty stage or the musicians playing and singing. With so many churches taking over existing buildings that were designed for something else, or putting up fairly generic buildings, most church buildings these days are not, in and of themselves, conducive to worship. The great cathedrals were. You get that sense of God’s creation. I think sanctuaries have become very sterile. I don’t like sterility; God created a beautiful world. I want to show that world. Now I can. I can have the right picture behind me, or the right color, to reinforce what I’m teaching. Together with what we’ve done with video and imagery, we’ve worked very hard on the lighting to use color to reinforce the themes in the worship. It’s almost imperceptible. You know that the atmosphere has a beauty to it, but you don’t necessarily know where it’s coming from. Jesus talked about the Spirit being like the wind; you don’t know which way it’s coming, but you can feel it when it gets there. That’s the way we approach using the moving lights and these new LED lights as well. There’s something about an evening service that is inviting. It’s naturally conducive to fellowship, and it’s very hard to replicate that first thing Sunday morning. You have to work a little harder to create an atmosphere; people have just gotten out of bed, their minds are scattered, they’ve had to get the kids up, dressed, and fed, they may have had an argument on the way… You’ve got to bring them, in a very short amount of time, into an attitude of worship. We give ourselves thirty-five minutes or so to accomplish that, and what Zamar has brought to the table helps us do it. The thing I’ve noticed about the last year is, technologies now create an atmosphere that is conducive to worship. There’s a school of thought out there that’s almost like an austerity movement: “These things are nice to have, but not necessary. It would be poor stewardship to spend that kind of money on toys for the tech guys.” Obviously you don’t feel that way? We could sit here and say that the Holy Spirit doesn’t need all this technology, doesn’t need anything to help people be receptive – that’s not wrong. But if you follow that thought out to its logical conclusion, why do we buy or build buildings? Why do we own land? Why don’t we just use schools and rent other people’s property? I believe churches should own land and build things so that they become a fixture for future generations. It should be paid for, and it should be the best. Some people’s idea of “the best” might be “ornateness” and decoration. Great expense on windows and things like that. Are tech systems the gilt and high decoration of this era’s cathedrals? I think the mistake people are making is putting millions into the way a building looks. I believe in putting money into the way a building functions. We’re looking at building a new sanctuary, and I’m sure we’re looking at $9 million or so, but I’ve already allocated the money for tech, because if we don’t get the lighting and sound and video right, we’re missing a great opportunity. I consider those to be some of the most important things. I’m looking at building our facility around the necessary tech rather than trying to make tech fit into the building and working around problems after the fact. I believe the power of the Holy Spirit works in the lives of people in a very unique manner, but if the sound is bad, if the lighting is bad, we make for a very poor environment, and I think environment is very important. I’ve always tried very hard to make sure we’re funding these things properly. A park is a place for the community to come and enjoy beauty. We’ll spend lots of money on making parks beautiful. Why not spend money on making the house of God beautiful? Taking it a step further, why did God, with such elaborate detail, construct the Tabernacle and then the Temple the way He did? Incredible beauty and ornateness. The Ark of the Covenant was a thing of wonder and beauty that made people really look at God. I happen to believe that worship is not that easy to achieve. Our minds are so distracted, so disengaged, so ego-centered that it takes a lot of work to get us to focus on God. So weíd better use the tools available lest we walk away thinking we did something when in reality we just had a song service. To have an experience of worship, I think we have to use every help that’s available to us. I understand that your contemporary service has been overhauled, and that’s been the impetus for a lot of the tech upgrades. I also understand that you’re seeing quite a few young people adding back into what was an aging congregation. Do you have a sense of what the growth percentage has been? Probably I could say it this way: The churches in Silicon Valley are diminishing in both size and number right now. We all know that – all the pastors in the area are aware of it. I was at a point where I’d been working for two years to emphasize a need for a change in our strategy and moving a “young,” contemporary service into place. Finally I had to just do it because I realized that the talk was going to go on, possibly for years. I didn’t feel like we had that kind of time to wait. I was looking at the first service diminishing. I couldn’t tell you the numbers because I don’t count heads. But I was seeing a pretty sparse crowd. Now, every week I’m meeting dozens of young people I’ve never met before. They’re so excited to have something that feels like they’re part of it. I know it’s had an impact. It’s also put a challenge to the team that puts on the second service. The success of the first service, with all the artistic things we’re able to do thanks to the technology, has given impetus to the second-service team to improve and stretch. There’s a lot of creativity that usually goes untapped in churches. Our first-service worship team is called Rise, and up around them has grown a drama group and a whole enterprise. A number of different avenues to communicate the Word. That was another reason I wanted to invest in sound and lighting and multimedia – we need to be creative in the way we reach people, and the Rise people know how to use these tools in an impactful way. The message is, by definition, beyond irrelevance. By lending it a surface relevance that it might not already have to an unbeliever, you stand a better chance of getting through, is that fair to say? We can’t be too impressed with ourselves. When someone comes to me and says, “That’s the best message I ever heard,” I have to chuckle, because I know itís the Holy Spirit doing something in that person’s life. It’s nothing I said. It’s not about me, it’s not about us, it’s not about how big the Church gets, it’s all about God. But these tools can and do help people see God.